Borussia Mönchengladbach stretched their unbeaten streak to eight games courtesy of a 2-1 win over struggling Hannover 96 at the BORUSSIA-PARK. Andre Schubert’s first game since becoming the Foals’ new permanent head coach almost got off to the worst possible start when Tony Jantschke was forced to clear Artur Sobiech’s effort off the line. The impetus soon swung in the hosts’ favour, though, with Raffael going close to an opener, before Ibrahima Traore audaciously slotted the ball between Ron-Robert Zieler’s legs to send Gladbach in at the break a goal to the good. With Hannover willing to take more risks after the restart, the encounter opened up as Uffe Bech hit the post, before Salif Sane’s header drew a superb save out of Yann Sommer. Lars Stindl was also thwarted by the woodwork, a miss which proved costly minutes later as Artur Sobiech equalised by poking home in the midst of a goalmouth scramble. The closing stages were frantic and full of chances at either end, but in the end Gladbach’s pressure told as Raffael fired home the winner six minutes from time. A constant menace on either flank and scorer of the opening goal, Traore’s surging runs had Hannover’s defenders at sixes and sevens throughout the 90 minutes. With Patrick Herrmann and Andre Hahn sidelined, Traore looks to be making the most of his first-team opportunities. The Andre Schubert revolution rolls on as he becomes the first Gladbach head coach since the legendary Udo Lattek to go his first eight Bundesliga games in charge unbeaten. The Foals’ performances under Schubert have often been keen on the eye, but the grit and determination the hosts had to produce will be just as pleasing for the new man in charge. 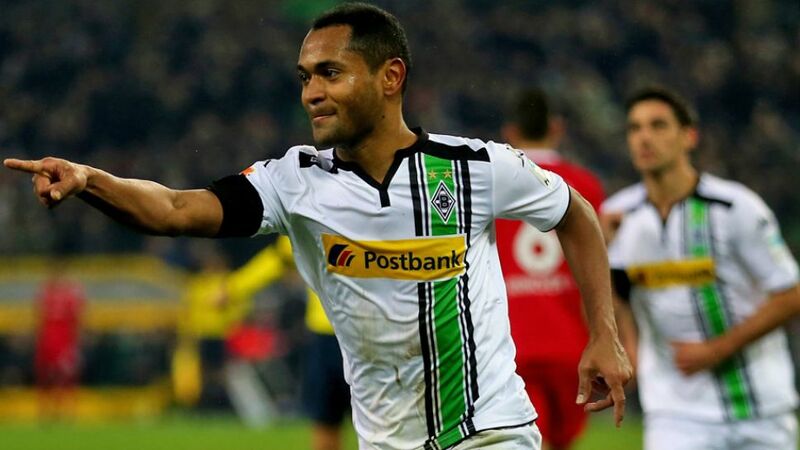 Gladbach have won all seven games in which they’ve taken the lead under Schubert.Traore has scored eight of his 10 Bundesliga goals on home soil, including three of his four strikes for Gladbach.Raffael has scored six goals in his last seven Bundesliga outings.